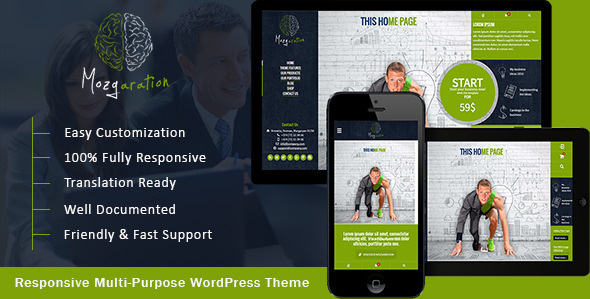 Mozgaration is a Responsive Multi-Purpose WordPress theme. You can use it for business, corporate, product catalog, services or portfolio web sites. The product and portfolio tools also give you wide opportunities to use in various services as tour itineraries, rent a car, real estate, hotel presentations,taxi service,photographer portfolio and much more. You can also create an online shop with Mozgaration and WooCommerce plugin.